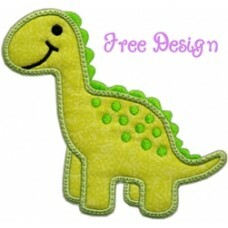 This cute applique design is perfect for children's clothing, burps, bibs, pillows, blankets, just about anything! It's terrific for boys but you can also add a bow or use girly fabric and it's just right for girls too! 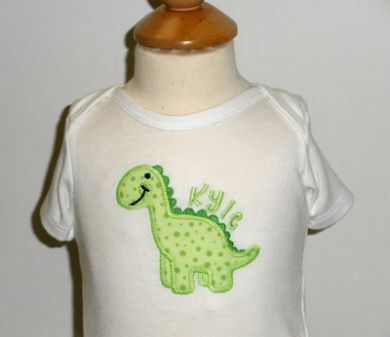 Do you like the font we used for Kyle's name? It IS NOT included with this design but it is our Stacked Lower Case font # 14 and the link can be found at the bottom of this page in Related Products. Enjoy or latest Free Design!